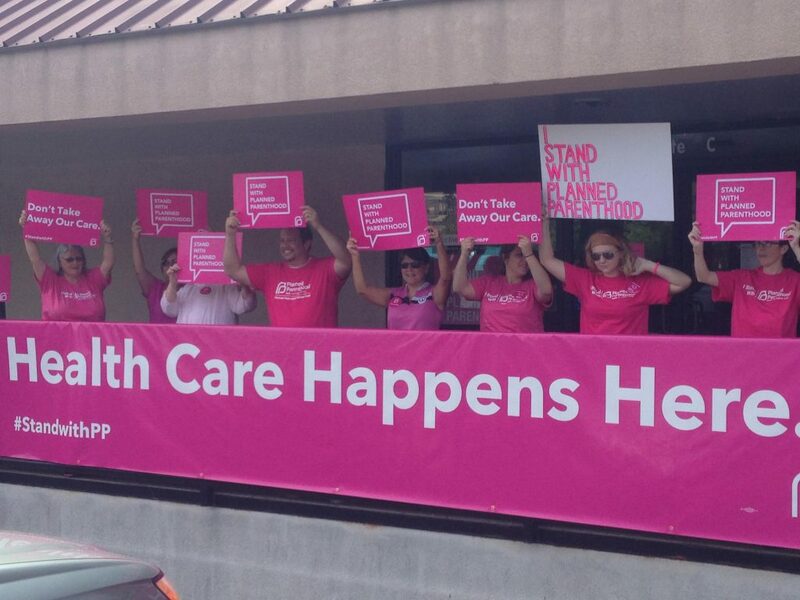 What Do Planned Parenthood and ACORN Have in Common – Republican Attacks! Why Do Republicans Hate Planned Parenthood So Much? Take a closer look at the crusade against women’s rights and health care. A simple explanation for defunding Planned Parenthood that is offered up ad nauseum by talking heads across the political spectrum is that Republicans hate abortion. That doesn’t tell the whole story. Not only does Planned Parenthood offer many services that aren’t abortions, abortion only accounts for 3 percent of Planned Parenthood’s services. 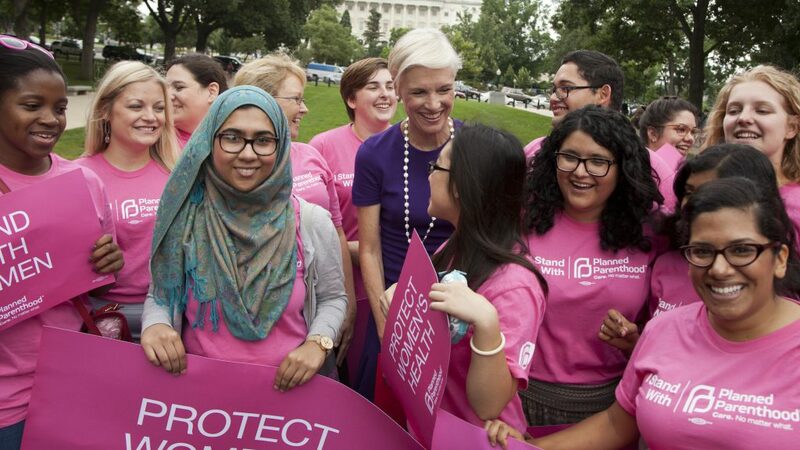 Eighty percent of Planned Parenthood’s services go toward preventing unintended pregnancy. If Planned Parenthood were to go away overnight, the result would be an increase in abortions. In over 100 counties in America, Planned Parenthood is the only “safety net” health center that deals with women’s reproductive health. Poor and working-class women in America depend on Planned Parenthood for essential medical care. Republicans are always on the lookout for a new bogeyman. This is a necessity for a party that actively advances policies that hurt working people. Since their policies of restricting health care, lower wages, and funneling money into the hands of corporations don’t naturally attract the working class, they have to invent reasons for people who make less than six figures a year to vote for them. Not everyone can be cowed by the largely imagined threat of immigrants taking their jobs, and that’s why the have to construct and destroy social pariahs to maintain their base. If you take a close look at Republican political strategy, you will see that the fight against Planned Parenthood isn’t just about abortion, it’s about bringing a scalp home to their base while trimming the budget at the expense of women all over the country. The current Republican crusade against Planned Parenthood looks a lot like the their attacks against ACORN (Association of Community Organizing for Reform Now). In 2008, the organization had a budget of $100 million and membership of 400,000. By the beginning of 2010, ACORN was no more. The company’s 40-year mission of helping those in poverty, with actions as small as building playgrounds and as large at taking on banks, came crashing down after Republicans conducted a national smear campaign connecting ACORN erroneously with voter fraud. It’s no coincidence that James O’Keefe, a self-styled provocateur, has made videos attempting to discredit both ACORN and Planned Parenthood. It bears mentioning that the GOP and its surrogates seized upon some very real stories of corruption within ACORN to bring them down, but it was a propaganda campaign constructed on falsehoods that ultimately led to ACORN’s demise. This is how the Republicans operate. They attack organizations with a three-step process. First, Republicans identify a positive social organization in which they can easily spot and single out something conservatives hate. In the case of ACORN, it was voter fraud committed by minorities (which, btw, doesn’t exist). With Planned Parenthood, it’s abortion. Once they pick the organization, they produce propaganda with people like James O’Keefe. The media has no choice but to cover it, even if the O’Keefes of the world are discredited in the process. Then Congressional Republicans try to close the organization. If they succeed, the organization shutters. If they fail, they’ve rallied their base around a cause that makes them forget the awful economic and social policies that should get them to defect from the party. The tactics the GOP and Fox News used against ACORN, relentlessly repeating accusations against the group, are instructive in the case of Planned Parenthood. So much of the argument in favor of Planned Parenthood on social media has been “abortion comprises a small portion of what Planned Parenthood does.” While this is important for context, it won’t sway conservatives. They don’t care. It is in their political interest to tie abortion to Planned Parenthood. There were no connections between ACORN and voter fraud (because, again, voter fraud statistically doesn’t happen), but they still used the issue to shiv the community organizing group. The only way to save Planned Parenthood will be to celebrate all of the services it provides and convince moderate and left-leaning lawmakers of its importance. Conservatives have attacked Planned Parenthood since its inception in 1916, long before abortion was a Constitutional right. Providing contraception challenged traditional gender roles, which has always been what irked conservatives about the organization. Many conservative voters don’t know that the Hyde Amendment, passed in the mid ’70s, already prohibits federal funding for abortions. The defunding of Planned Parenthood isn’t about cutting off an organization from abortion funding, but about punishing an organization that provides abortions and women’s health care. Again, this is because Republicans don’t actually care about the facts, they care about symbols. In nominating Donald Trump, they showed the Christian Right they have no real concern for their agenda. They invent issues like these to throw a bone to their religious base without actually providing them with anything resembling friendly policy. ACORN fell because Democratic politicians wouldn’t stand up for the organization once it became toxic. The political calculation was that their constituents didn’t care that much about ACORN while Republicans made it difficult to support them. The way to save Planned Parenthood, then, is going to be pressuring Democrats to fight for it, not backing off of championing Planned Parenthood’s abortion services. Not only is abortion an essential part of what Planned Parenthood does, but even if it weren’t, Planned Parenthood would forever remain a symbol of abortion rights for conservatives. This isn’t just about abortion. Planned Parenthood stands for women’s rights, just as ACORN stood for the rights of the poor and minorities. 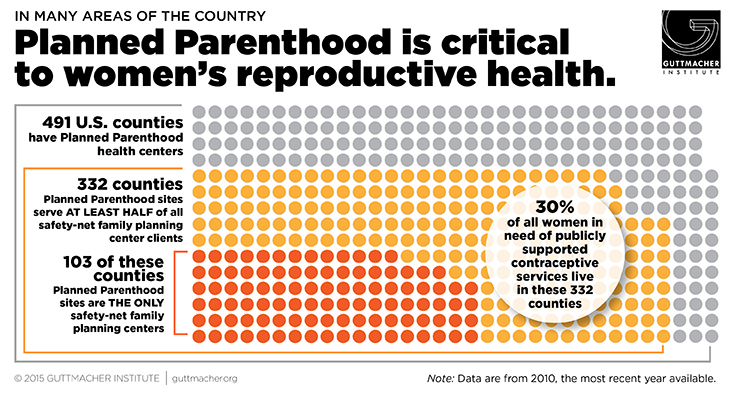 Republicans would be trying to defund PP no matter what, as it is an affront to their corporate patriarchal worldview. Asserting Planned Parenthood’s right to exist will be a better tactic than compromise, since the real argument is that both Planned Parenthood and abortion should be no more.